INSIDE STORIES PODCAST 40: THE 18.5-MINUTE GAP IN THE NIXON TAPES -- REVEALED AT LAST! Listen to this podcast on the player above, or on iTunes. In this episode of the podcast, you will hear the solution to one of the great political mysteries of the past 50 years, and an explosive confession by the late President Richard M. Nixon. Thanks to advances in audio technology, audio experts have at last reconstructed the contents of the so-called "18-1/2-minute gap," a period of silence on tapes made by President Nixon. Other parts of the tapes had incriminating evidence that led to Nixon's political downfall, but the contents of the gap have remained unknown -- until now. They contain shocking revelations that go far beyond the Watergate break-in. For more information about the Nixon tapes, visit the Nixon Library. A fiction featuring Anthony Newfield and Paul VanDeCarr. 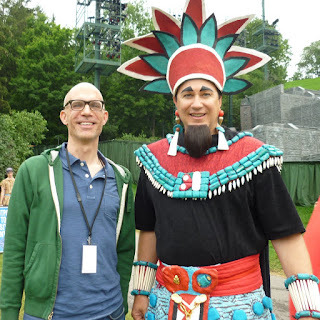 In July 2015, I finally visited Palmyra, New York to see the Hill Cumorah Pageant, an enormous stage show dramatizing stories from the Book of Mormon. I'd been curious about the pageant for years. Why wouldn't I be? After all, Mormonism is a home-grown American denomination with a gripping history that spanned from New York to Utah and beyond, and was closely bound to the development of the United States in the 1800s. Today, it's one of the fastest-growing denominations in the Americas and elsewhere, thanks in large part to missionaries sent to points worldwide, as well as to events such as the Hill Cumorah Pageant. The Pageant is an elaborate outdoor stage show with a cast of over 650 people on a 10-level stage, and special effects of water, fire, music, and more. It takes place on the site where Mormons believe that Joseph Smith, the founder of Mormonism, discovered the tablets upon which were written the Book of Mormon, the denomination's holy book. Below are some photos from the show. The first two are of me and cast and crew, and the last three are scenes from the show courtesy of the Hill Cumorah Pageant. 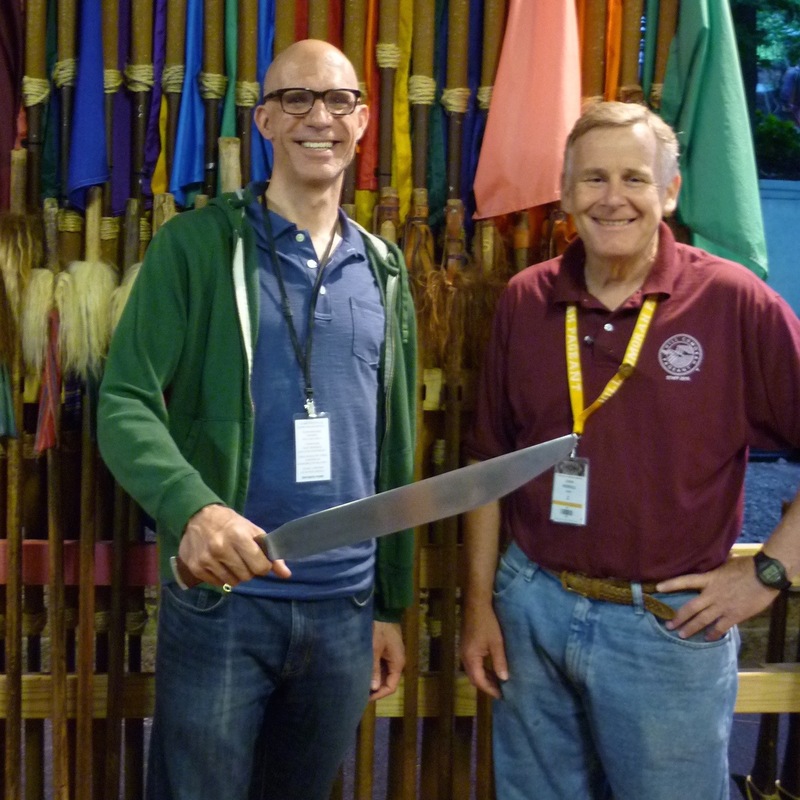 Thanks to the Hill Cumorah Visitors' Center for assistance, and to the cast, crew and publicists of the pageant for speaking with me! A (nuclear) blast from the past this week. 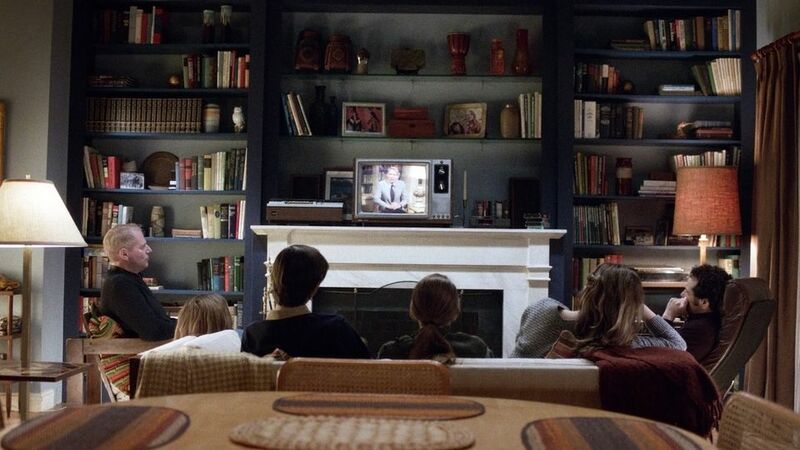 On FX's hit show "The Americans" -- about Russian sleeper spies living in 1980s Washington, DC -- the spies and their kids and neighbors watch The Day After, a 1983 made-for-TV movie about the aftermath of a nuclear war. Broadcast on Sunday, 20 November 1983, The Day After (YouTube) was a bona fide "television event." (It was even followed by an all-star and all-white-male panel discussion moderated by Ted Koppel on ABC.) The film attracted a record-breaking 100 million viewers, a reaction from President Reagan, and all kinds of press in the months before and after it aired. Why wouldn't it? Nuclear war was a looming threat. This was the Cold War, as the US and the Soviet Union adopted a posture of "mutually assured destruction" -- neither would dare start a war for it would surely mean the death of both -- and a huge anti-nuclear movement grew up in response. (The year before, as many as a million people took to the streets of Manhattan and Central Park to protest for a "freeze" on building new nuclear weapons.) Books warned of the dire The Fate of the Earth, and scientists predicted that a "nuclear winter" would follow a war. Terrified at the prospect of a nuclear war, I got involved with my local student anti-nuclear group, STOP Nuclear War. Among the many other outlets covering The Day After was, well, the Brookline High School Sagamore newspaper, for which I interviewed the film's screenwriter, Edward Hume. The interview ran in the Friday, 13 January 1984 issue, when I was a sophomore. Here's a redacted version. What scene did you try to have the most impact on viewers? Personally, my favorite scene, and the scene that did seem to have a lot of effect on people, was the scene early in the film when [the character of] Eve Dahlberg, the farmer’s wife, even after the missiles had gone off, persisted in the daily routine of going around the house, and in fact she was making beds. When her husband comes and tries to get her to go down to the basement, she refuses to listen to him, and he finally has to carry her down the stairs screaming. The reason I found it so powerful was that it’s dealing with what I think is really the issue that comes before all others, which is our ability to deny things that are disagreeable, which is our whole reason for doing the film. How do you feel as if your personal political beliefs affected the film? Hume: I don’t think they had a lot to do with the film we did. The film is a very straightforward story about these missiles going off for whatever reason and the only politics that might have affected that might be my lack of faith in our current deterrence policy, and that’s not necessarily true either. All the thinkers that are working in the Defense Department, they’re dealing with these prospects all the time, and I don’t think any of them are fool enough to say, “this will never happen.” Politically, I suppose you could say I’m worried enough to want to devote my time to exploring this risk factor and making people aware of it. What complications worked against getting The Day After on television? Hume: Nothing. It took a lot of time to get it on the air only because it was a complicated production. A lot of people thought there were going to be political obstructions, but there were none. What sort of criticism and positive feedback did you get? Hume: It was criticized for its artistic quality, and there’s a lot to find fault with in the film. A lot of people used artistic faults in the film to avoid dealing with the issues that the film was raising. It was criticized because people were led to believe that it was going to be shocking and, worse, that it was going to tell the what to do about the nuclear issue. For example, this week’s TIME Magazine, the story on reactions to The Day After says, “It answered more questions than it raised.” I found that kind of ironic, because it never meant to answer any questions, it meant to raise questions only. That was the whole point. There are some other criticisms that I think have a lot of validity. One was that nuclear war would be much worse. That’s absolutely true. If it ever has a good effect, it’s something that’s going to happen over the long term. Say it ever reaches 100 million people. Eighty million hate the film, 15 million like it enough to think about it, and five million let it mobilize them, so they’re going to do something. I would say the film has done its job, no matter how critical people are of it. You don’t feel as if situating The Day After in Kansas isolates nuclear war so someone in Boston might not be able to relate to it? If anything like this happened, I don’t think that there’s much question—there certainly isn’t in my mind, having done the research on this project—that nuclear war would not be limited. No one is going to take out one or two cities. If it ever happened, it’s going to be quite extensive. Some people said, “Were any other parts of the country hit or was it just Kansas City?” Certainly we were only dealing with Kansas City, but … we had the President [in the film] say that other parts of the country had been hit. Is the film going to be shown in other countries? It’s opening this week in Germany. It’s not being seen on television so the effect will be quite different. We had always intended to do this for television in this country because we wanted to reac ha large audience. I think if it was done theatrically, people wouldn’t go see it. People aren’t going to go out and see the end of the world, they’re not going to buy a ticket to go see it. In Europe it’s going to be shown theatrically. It’s going to be shown in England also. What research did you do on The Day After? 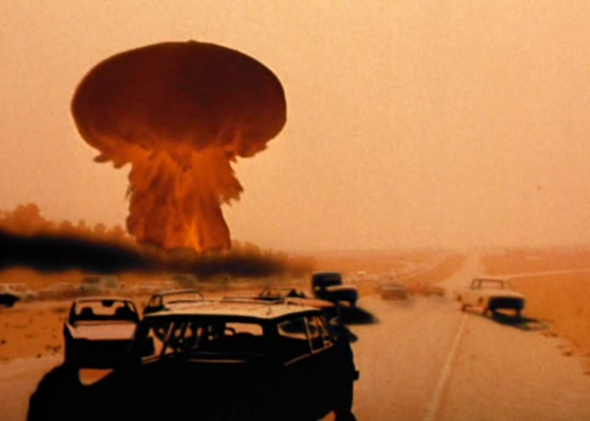 I spoke to some scientists at the MIT, the Massachusetts Institute of Technology, and I relied quite heavily on government studies of the effects of nuclear war… there is a lot available for people to use, if they want to. It’s very frightening stuff. Do you feel as if the film has damaged Reagan’s 1984 campaign? No. The big issue before the film came on was whether it’s political or not. The idea was simply to bring the nuclear issue to the forefront, dealing with the horrors of the what-if situation. I don’t think that means people are going to rise up against President Reagan. The interesting thing is that his popularity actually went up in the polls the week after the film, and I would attribute that to the fact that people rally around the president in times of crisis. And even though this was not a real crisis, it was perceived to be an issue that people got a little upset about, and the natural thing to do is support the people in power. Harvey Fierstein's 2014 play, "Casa Valentina" told the story of one weekend in 1962 at an upstate New York resort for cross-dressers, and was based on a real place. At that time, cross-dressing was illegal and cross-dressers risked losing their jobs and families for expressing their true selves. I visited the New York City-based headquarters of Cross Dressers International (CDI) to ask members how the play resonated with them and how things have changed for cross-dressers since the 1960s. You can also click here to read my interview with Casa Valentina star Reed Birney. "The Americans" -- the hit TV show about a pair of Soviet spies living in the U.S. under the guise of a regular American married couple with kids -- comes back this January 28th for its third season. That's the season preview, above. The show was inspired by the real-life case of a Russian spy ring that was broken up in 2010, producer Joe Weisberg tells Studio 360. One of the intelligence agents in that ring was Andrei Bezrukov, who was living under the alias of Donald Howard Heathfield. That alias sounds like it was generated by a computer programmed to spit out the most ordinary-sounding name possible. Bezrukov and his wife and fellow agent Yelena Vavilova (alias Tracey Lee Ann Foley) were living in Cambridge, Massachusetts at the time of their arrest in 2010. He ran a consulting firm and she was a real-estate agent. They had two sons, then aged 16 and 20 -- neither of whom had ever been to Russia or spoke a word of Russian. In the interview, Bezrukov talked about his views on the U.S., the work of intelligence gathering, and how his kids were adjusting to life in Russia, where they were deported soon after their parents had returned to the country in a prisoner swap. The two sons, it was initially reported, knew nothing of their parents' double lives. But then in 2012 the Wall Street Journal reported that the couple had groomed their older son, Tim, as an agent. The couple issued a statement dismissing that claim as "crap." The new season of "The Americans" picks up as the fictional married couple are considering recruiting their teenage daughter into the family profession. In the English translation of the Russian Reporter interview, a few answers are omitted. Here, with help from Google Translate, is my admittedly faulty rendering of those questions and answers. What qualities are important for an intelligence agent? What is the main one? I think patriotism. This and only this is the whole meaning of the work. Money cannot be the meaning for an agent. Only a person loyal to ideas can do his work, understanding that the rest of his life might be spent in prison. No material benefits can justify that. What does the word “patriotism” mean to you? I think patriotism is understanding your place in the world as part of Russia. These are my friends, these are my parents, this is my family tree that goes back in the days of Yermak, when my great great great grandparents came to Siberia. For me to forget that is to be left with nothing. ... I am especially close to the idea of ​​a great and tragic history of my country, the ruptures through which it has passed, its endless, painful search for itself between East and West. Everyone has a national spark like that. But isn’t that just the cover for a cold political struggle? No. Let’s talk about the national idea, without even touching on the political struggle. The national idea is to grasp what place your country occupies in the world, what we as a nation want, what we can allow and what we can’t. If we have a commonality and an understanding of who we are, where we are going, what the underlying principles are—that's what unites people, that’s what is called the national idea. The ideas that united us before are no more. They are gone. Russia is now in the process of forming new ideas. The political struggle is about the future of Russia—evidence of the ongoing process of the crystallization of the national idea, the element of creation. En este episodio del podcast, una entrevista con Laura Bolaños Cadena, la argumentista principal de “Historia Semanal de Amor y Pasión,” y varias otras historietas mexicanas durante una larga carrera. Empecé a leer "Historia Semanal" hace 5 años, habiendola encontrado en los puestos de revistas en las estaciones del metro en Nueva York, y me encantó desde la primera página del primer número que leí. Laura también escribe comentarios políticos para periódicos, y novelas -- incluyendo las novelas Murió antes de partir (2009), y De ebrios, abstemios y osados negociantes (2010). También puedes leer la entrevista (más) completa con Laura, traducida al inglés, haciendo click aquí. ¿Eres aficionad@ de "Historia Semanal" u otras historietas románticas? Si vives en Nueva York, escribeme a paulvdc (arrobo) gmail (punto) com y ¡vamos a formar un club! Otra historia inolvidable de "Abril"
Actor Reed Birney on his Tony-nominated role in "Casa Valentina"